Great choices on the AT Gun and Observation Vehicle! I also like the logo you suggested, Clayton. I was also thinking about one containing the number 150 to be more in line with the 500+ and 750+ campaigns. What do you think? One and a half week to go! Start undusting those boxes! I like the idea, Clayton! How about the brick with the number 150 on its side, without the side bars? Would you have a larger version so we can tweak it some? Removed by original poster on 11/20/16 - 19:32:37 (GMT). Maybe this shows up better? Thank you, Clayton! This looks great! I would say we have a winner! Thank you, Clayton! I made this the official campaign ribbon. Thanks again! My kids are Lego nerds, I have to have that ribbon. Hopefully I'll be able to find a kit with less than 150 pieces. A couple more days to start. Removed by original poster on 12/01/16 - 15:29:33 (GMT). Nice choice of a kit, how many parts? I was thinking of doing a 1/72 Hasegawa kit also but I changed my mind. I think I'll try a Tamiya 1/48 armor kit instead. "Hassle free" is one of the core ideas of this campaign Nice choice, by the way! Been waiting to get started on this campaign....especially since I might be able to actually finish a campaign on time. 26 parts related to the figure and gear. Great choice, Sherb! I'm especially looking forward to that figure being painted as I'm planning my second one myself. 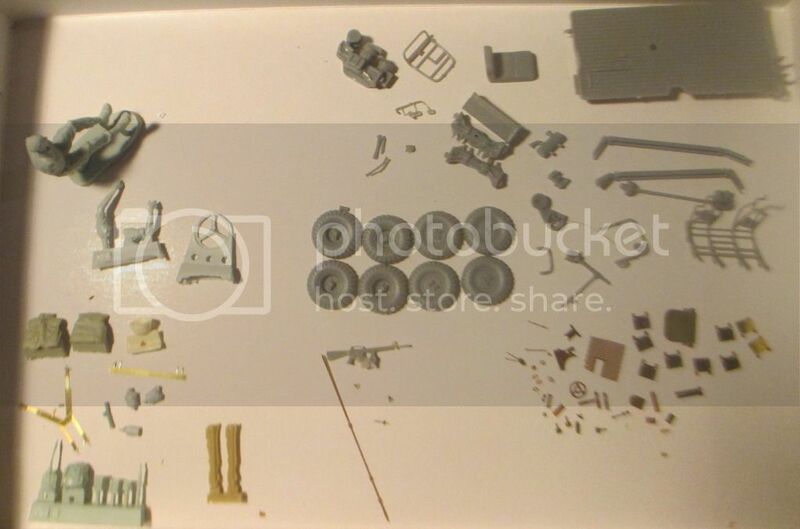 I was intending to build the Tamiya Steyr 1500A (European) but checking the parts count on a review it says 156 parts. I assume that this is with the two figures and gubbins as kit for the inside. The question is will this be okay to build or should I pick something else? My dilemma is it's destined for a dio so I was planning on putting extra kit etc in anyway which will take the part count right up. Are we just going on parts in the box as the count or however many parts we use? I can always use something else if not as I've got a couple of Kubelwagens and some motorbikes I need to build anyway. The parts counted are those assembled on the model. We can close an eye in case there are a few more or less. 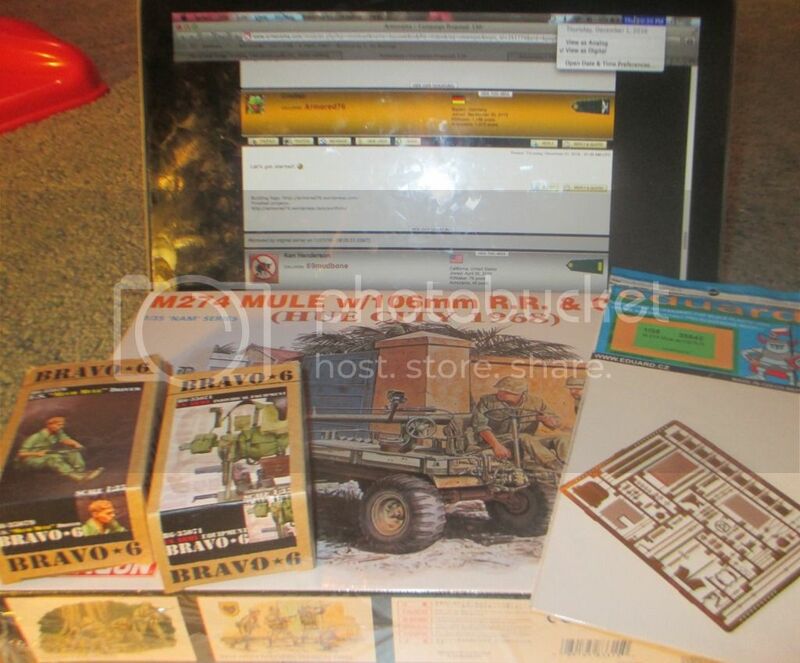 As for the dio, you can build the vehicle for this campaign and do the dio separately. I'll be building Tamiya's 1/48 scale BA-64B. Total parts count is about 43 parts. I'm not sure if I'll use the kit scheme or make it plain green to represent a Korean war armored car. Does anyone know if the North Koreans used the Russian soft AFV helmet? I've looked for photos of N. Korea BA-64B's and from what I can determine is some vehicles may have been without numbers and some had crude hand-painted numbers. I don't know-use the kit markings or go without?